Speedy, flexible and user-friendly, Apache Spark is one of the main distributed processing frameworks for big data in the world. This technology was developed by a team of researchers at U.C. Berkeley in 2009, with the aim to speed up processing in Hadoop systems. Spark provides bindings to programming languages, like Java, Scala, Python and R and is a leading platform that supports SQL, machine learning, stream and graph processing. It is extensively used by tech giants, like Apple, Microsoft and IBM, telecommunications industry and games organizations. Databricks, a firm where the founding members of Apache Spark are now working, provides Databricks Unified Analytics Platform. It is a service that includes Apache Spark clusters, streaming and web-based notebook development. To operate in a standalone cluster mode, one needs Apache Spark framework and JVM on each machine in a cluster. To reap the advantages of a resource management system, running on Hadoop YARN is the general choice. Amazon EMR and Google Cloud Dataproc are fully-managed cloud services for running Apache Spark. 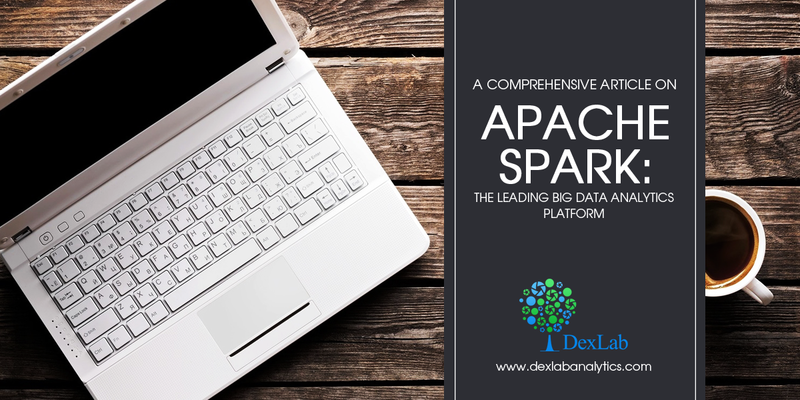 Apache Spark has the power to process data from a variety of data storehouses, such as Hadoop Distributed File System (HDFS) and NoSQL databases. It is a platform that enhances the functioning of big data analytics applications through in-memory processing. It is also equipped to carry out regular disk-based processing in case of large data sets that are unable to fit into system memory. Apache Spark API (Application Programming Interface) is more developer-friendly compared to MapReduce, which is the software framework used by earlier versions of Hadoop. Apache Spark API hides all the complicated processing steps from developers, like reducing 50 lines of MapReduce code for counting words in a file to only a few lines of code in Apache Spark. Bindings to well-liked programming languages, like R and Java, make Apache Spark accessible to a wide range of users, including application developers and data analysts. Resilient Distributed Dataset is a programming concept that encompasses an immutable collection of objects for distribution across a computing cluster. For fast processing, RDD operations are split across a computing cluster and executed in a parallel process. A driver core process divides a Spark application into jobs and distributes the work among different executor processes. The Spark Core API is constructed based on RDD concept, which supports functions like merging, filtering and aggregating data sets. RDDs can be developed from SQL databases, NoSQL stores and text files. Spark SQL is the most commonly used interface for developing applications. The data frame approach in Spark SQL, similar to R and Python, is used for processing structured and semi-structured data; while SQL2003-complaint interface is for querying data. It supports reading from and writing to other data stores, like JSON, HDFS, Apache Hive, etc. Spark’s query optimizer, Catalyst, inspects data and queries and then produces a query plan that performs calculations across the cluster. Apache Spark has libraries that can be utilized for applying machine learning techniques and statistical operation to data. Spark MLlib allows easy feature extractions, selections and conversions on structured datasets; it includes distributed applications of clustering and classification algorithms, such as k-means clustering and random forests. This is a distributed graph processing framework that is based on RRDs; RRD being immutable makes GraphX inappropriate for graphs that need to be updated, although it supports graph operations on data frames. It offers two types of APIs, Pregel abstraction and a MapReduce style API, which help execute parallel algorithms. Spark streaming was added to Apache Spark to help real-time processing and perform streaming analytics. It breaks down streams of data into mini-batches and performs RDD transformations on them. This design facilitates the set of codes written for batch analytics to be used in stream analytics. The pipeline structure of MLlib allows constructing classifiers with a few lines of code and applying Tensorflow graphs and Keras models on data. The Apache Spark team is working to improve streaming performance and facilitate deep learning pipelines. For knowledge on how to create data pipelines and cutting edge machine learning models, join Apache Spark programming training in Gurgaon at Dexlab Analytics. Our experienced consultants ensure that you receive the best apache spark certification training.